Came in today… if it keeps raining more will be coming, but we got enough for now. There is an old hawks nest a pair of Great horned Owls took over this year. 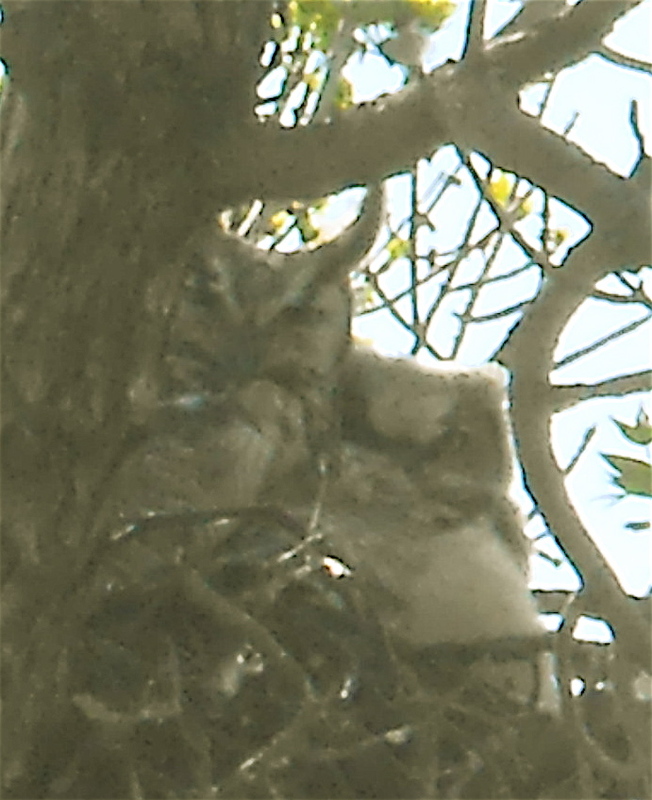 there were two owlets in it before, but when I took pictures today, I only saw one for sure, tho’ it’s hard to see up in there…. Looks like they were giving you the old stink eye!